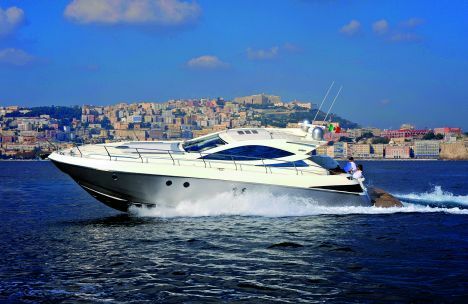 A highly technological motoryacht which sets a new record in the difficult lightness-solidity ratio. The umpteenth test of a Salpa motoryacht - this time the new flagship - bears out our impression that there's really something special in engineer Pane's head. 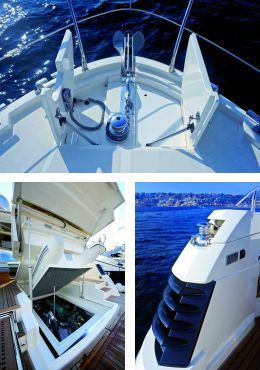 Because with this volcanic player on the Italian yachting scene, the love of research and innovation takes on such furious tones as to make the definition "avant-garde" almost insufficient. And if a famous direct competitor tells us that Pane "is at least ten years ahead of our company", it means that the fact is also well known and acknowledged among sector experts. 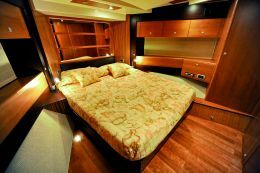 Well, like all her predecessors, the Salpa 50.5 is a cabin motoryacht loaded with promise and therefore more suited to analysis than observation, to study rather than familiarisation. But let's make it clear: the aesthetic impact is powerful, efficacious and convincing. She's been designed by a masterly hand, taking account of current stylistic trends not only in terms of form and volume but also colour. A keystone of the project was the IPS propulsion which - as is now well known - has to be considered right from the start, avoiding adaptation of hulls and structures conceived for other kinds of transmission. This explains a whole series of important results such as structural rigidity, lightness, correct weight distribution and silence: all certified by the Composite Materials Engineering Department of the Federico II University in Naples which, for no less than six months, subjected the Salpa 50.5 to all kinds of mistreatment (having applied special sensors along the whole length of the hull) and measured the results. For a for shorter period of time we mistreated her too, and what we discovered was the character of an agile, brilliant, manoeuvrable, safe and ergonomic boat. As regards the latter aspect we point out some significant details such as the shape of the beds (designed not only for comfort but for easy making), the proportions and equipment of the hotel-style wardrobes, the distribution of power sockets (always in the right places)and the sizing of the transit areas (free from treacherous obstacles). And, still on the practical level, we were pleased to note the rapid movement of all the power- assisted elements: windows, hatches and especially the sophisticated sliding roof with a mechanism designed by Pane himself who, great sailor that he is, selected precious Harken sliding gear. Draught at propellers: 1.25 m.
Price with standard equipment and engines as in the test: 625.000 euros + VAT, free at shipyard. Stern platform: integrated fixed part linked to the cockpit by two handy side stairways; submergible mobile part projecting. 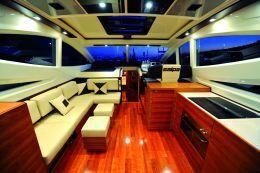 Subdivision and features: spacious living area with galley and wheelhouse on the starboard side, saloon on the port side. 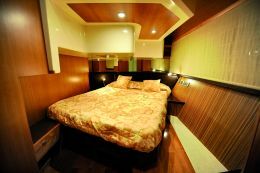 Below deck the owner's cabin is forward with low, central double bed (almost three-quarters of the perimeter), two wardrobes and a large bathroom; VIP cabin amidships with double bed set obliquely, wardrobe and direct access to the shared bathroom on the port side; guest cabin with twin beds and wardrobe; crew cabin (optional) accessible from the mess and including a laundry area and the main electric switchboard. Recommended optionals: variable height stern platform with hydraulic control, crew cabin. Helmsman's seat: extremely comfortable and ergonomic. 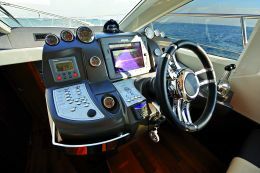 Electronic Volvo Penta command levers; manoeuvring joystick. Visibility ahead optimal while seated, good while standing; side visibility, excellent seated, very good standing; astern optimal. Mooring manoeuvrability: excellent with joystick; optimal with inverters alone. Engine room accessibility and functionality: decidedly good, due above all to the large opening aft of a part of the room (hydraulic control) which is beneath the tender garage; optimal technical room (in our case also fitted out as a crew cabin) beneath the saloon (optional). Electrical system and switchboard: excellent.